The “Hermits” of Minnehaha Park, Part 3. Storyteller or liar? 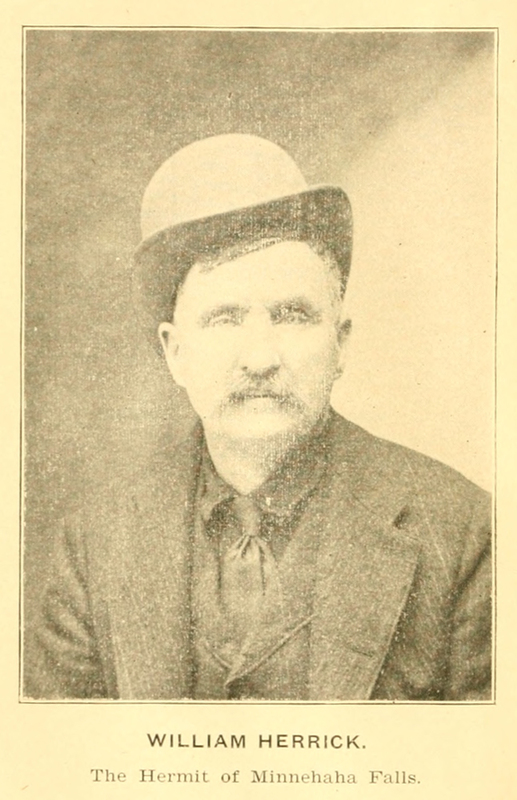 William Herrick–the Hermit of Minnehaha Park–was some of each. And Herrick told such convincing, engaging tales that it’s hard to believe that his stories are not true, even 100 years after his death. His artful storytelling included details that both impressed his audience and added verisimilitude. When he told the story of his Civil War career, he left out the part about never seeing combat. He was stationed in Kansas, there to build bridges and protect the mail trains. Instead he said (truthfully) that he was stationed “near the Blue Cut country where the famous Younger and James brothers held forth.” Except that he’d been mustered out and sent home before the first James gang robbery. Surely that detail is unimportant in the higher calling of telling a good story. Author karenPosted on December 5, 2016 December 19, 2016 Categories 20th Century, Biography, mysteriesTags 1898, 1901, 1902, A.S.Williams, ALGardner, Hatch, hermit, Herrick, James Gang, Kit Carson, McKnight, Sitting Bull, Soldiers Home3 Comments on The “Hermits” of Minnehaha Park, Part 3.